To help with understanding referencing styles we have produced six referencing handbooks. PDF versions of these are available from this page, and print copies of Harvard, APA, OSCOLA and MHRA are available in the Library. Contact your Academic Subject Librarian for help with referencing and for advice on avoiding plagiarism. Reference management software can help you to store, organise and share your references and generate citations and reference lists. Harvard Referencing: an introduction is a short tutorial which explains why and when to reference and introduces you to the Harvard style of referencing we use at the University of Lincoln. The tutorial takes about 20 minutes to complete. Click on the link above or below and the tutorial will open in a new window. OSCOLA Referencing: an introduction is a short tutorial which explains why and when to reference and introduces you to the OSCOLA style of referencing. 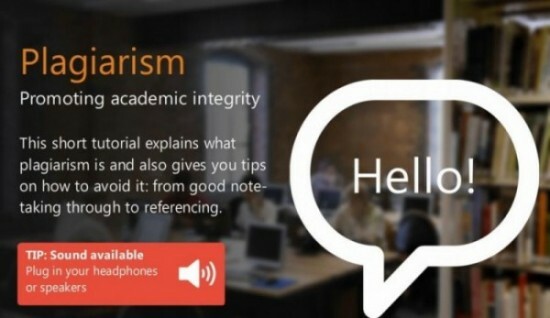 Plagiarism: promoting academic integrity is a short tutorial which explains what plagiarism is and gives you tips on how to avoid it.